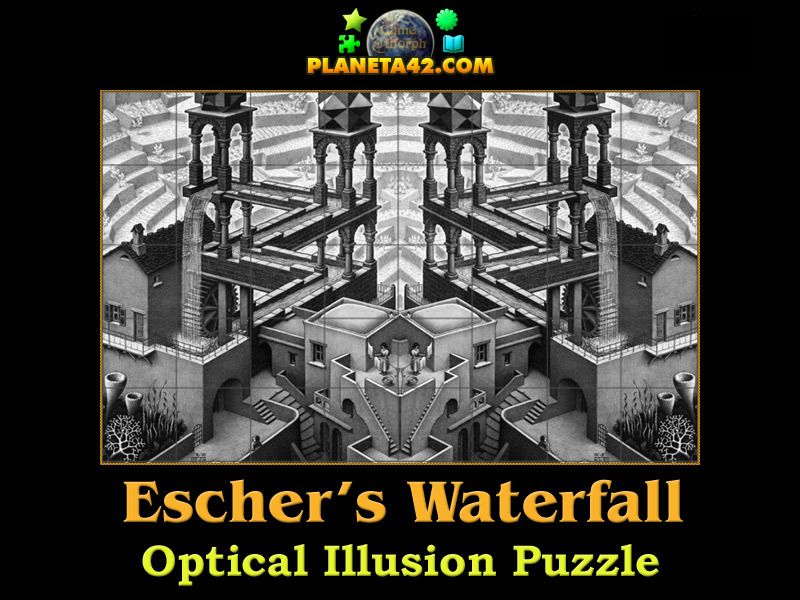 Escher's Waterfall optical illusion in a fun online puzzle. 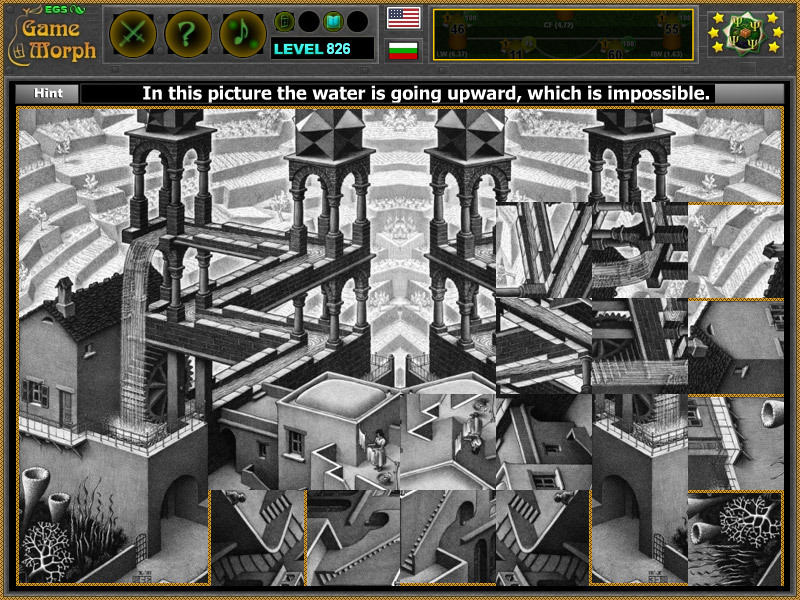 "Escher's Waterfall" is a fun psychology class puzzle for desktop computers, laptops and tablets, which may be played in the web browser. Sort the hidden picture. How there are impossible processes in a drawing? How to play Escher's Impossible Waterfall. This is common square rotating puzzle. Click on the puzzle pieces while they fit the original picture. Use the "hint" button for help. Know a famous image with impossible optical illusion. Class subject: Impossible Optical Illusions. This type of optical illusions is when there is a process shown on the picture, which in reality is impossible, or breaking a number of physical laws. On the picture you reveal, there is a waterfall. But the water is going up to the top to fall again.